The journey of moving from a parenting paradigm based on fear to one based on relationship and love leads to much soul searching and thoughtful introspection. For many of us, the hardest part is the “looking in the mirror” part that is required. It was a heck of a lot more comfortable back in the day when I could look at my child and his behavior as totally his responsibility. Shifting to a perspective that looks at my own stuff and issues and how I am involved in the fray is challenging. A good number of us want to believe that for the most part, we are in the right and that others are in the wrong. Our way is best and we have it all worked out and justified. It is so much easier to look at all of life from our own perspective. Self reflection and questioning are tough. Sure, we will make the occasional apology to our child when our behavior crosses into obvious hurtful and out of line behavior. But to truly examine ourselves to see what role we have in our family dynamic and the difficult interactions with those we live with takes some guts. It is a slow process and can’t be done all on one day – in fact, if we go down this path, it is a lifelong journey. One temptation when there is a child in our midst who displays extreme behaviors is to make that child the scapegoat. The origin of the word scapegoat comes from the Hebrew word azazel. 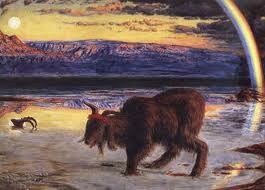 Around the Jewish Day of Atonement, this goat was sent out into the wilderness bearing the sins of God’s people. A dictionary definition for scapegoat is “a person made to bear the blame for others”. The reality is that in a family, we are all intimately tangled up together. The way that we respond to and approach the world affects our children, their felt safety and the way that they respond and behave in the world. If we adhere to an a+b=c formulaic parenting method and one of our kids isn’t jiving with this formula, we often want to cast the blame onto them. How can we ask a child to own responsibility for their own behavior if we aren’t willing to do so ourselves? We are the adults – the burden is on us. I’ve heard several mental health professionals refer to the “identified client” – code word for “the kid whose behavior is wreaking havoc in the family and got them in my door”. This kid might be identified, but we parents in the mix need to take a long hard look at ourselves and figure out how we need to change and flex in order to lead our families down a healing path. We may not be identified, but we are nonetheless a part of a system in need of change. Some of us need to get ourselves into a therapeutic relationship where we are indeed the identified client. The quicker we are willing to admit our own need for help and embrace the process of change, the better for the whole. Caution: If we choose to walk this path of self examination and owning our own family dynamic role, a tempting place to sink into is one of guilt, defeat and a feeling of helplessness. The good news is that God puts us together in families for incredibly redemptive purposes. It is never too late to work on relationship. If we will begin to loosen up, look closer at our selves and work to change where needed, it can lead to healing words and actions with our children. Each family member, those identified and those not, has more space to “own our part”. We can begin to accept the grace that comes as we travel this parenting road, the need for a scapegoat will disappear and new life can flourish. I’d like to be much more of a Carpe diem kind of mom. The kind of mom that truly enjoys being interrupted in my tasks to dance, laugh or offer comfort. A mom who delights in stopping and stooping to meet my child in whatever is most important to them in the moment. A mom that is utterly delighted when my grown child messages me right as I am about to move on to the next agenda item of the day. I am moving in that direction yet I have a ways to go. Two of our sons are officially grown and have flown the nest– ie they have self supporting jobs, with benefits, and pretty much manage all of their affairs. In this day and economy, this is something to truly celebrate. With one of them, the transition is relatively fresh and almost complete. The other day I was communicating a part of the transition plan and he wrote to me the following; “the emails you begin with “since you are now a grown up” or something to that effect are typically less fun than a 16 year old might expect.” I have been enjoying, smiling about and pondering that sentence ever since. How many of us spend too much time longing for the future? When we are toddlers, we want to be big kids. When teenagers, we want to be adults. We can wish our child’s life away longing for the next stage. When facing an especially busy or difficult week, we convince ourselves that next week will be different…. On the flip side, we can spend tremendous energy and time wallowing in regrets of the past. If only I had, sure wish I didn’t say/do that – this type of thinking gets us mired and stuck and unable to move forward. Living in the here and now and taking in all that this moment has to offer is a challenge. Yet it is a challenge that I want to embrace. 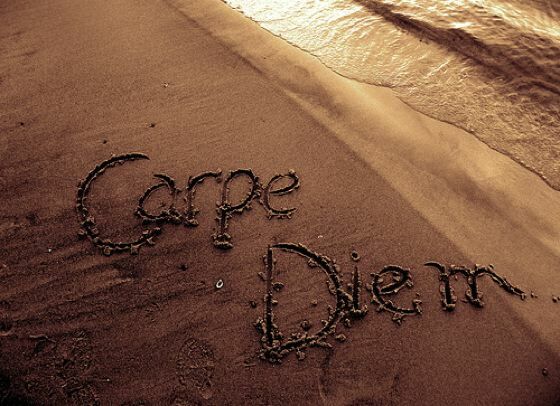 Each day, each moment in life is truly ripe with possibilities to seize, live and sometimes even savor. When my heart and mind are too focused on the to-do list, the agenda, or the mistakes of the past, I can’t live in the present moment. Yes, our minds must go to the past to learn and the future to hope and plan, but the majority of our time is best spent right in the here and now. I desire to live a much greater percentage of life in the present – as if I am slowly sipping and savoring a glass of fine wine. PS. Just as I was almost finished writing this blog, one of our sweet daughters woke up and came downstairs. Though the temptation was to put her off and finish my writing, I remembered what I was writing about (!) and went to join her face to face in the present moment on the couch. She shared her dreams, her fears and we got to talk about how love can multiply – how we are all capable of loving more than one person at a time. Sure am glad I got that time to be right in the moment with her. If I had put her off, chances are that particular moment would have slipped away, maybe forever. Coming off of a week’s vacation in a beautiful South Carolina beach town seems like the appropriate time to address this topic. There is something deep in my gut that kind of hitches whenever I hear others telling me or just espousing the idea of the importance of taking care of self. Something in my brain screams “selfish”, “you don’t deserve that” or some other degrading negative message. That gut check message has come from different places and voices. Well, like with so many things, I am challenging that line of thinking. To be clear, what I am not talking about is a lifestyle that mirrors the Vogue or Cosmopolitan covers that I walk by and read over in check out lines. Somehow American values have led us to a huge emphasis on SELF, and admittedly part of my hang up is the conflict I see between faith values and the worship of self. But on the other extreme, there is an uber Puritan work ethic that we have embraced that says he who is busiest and sacrifices most is superior. A recent New York Times blog written by Tim Keider (to read full blog, click http://opinionator.blogs.nytimes.com/2012/06/30/the-busy-trap) expressed it this way. “Puritans turned work into a virtue evidently forgetting that God invented it as a punishment”. The God I know and love is the one who though gave us an ability to find satisfaction in work, also commanded the Sabbath. Anyone who is involved in intensive and stressful caretaking – that could be with an aging parent, a troubled child, a sick family member, etc. – needs the cushion and space in their lives to be able to do extreme care. As human beings, we have limits and needs. We can’t do it all. Self care is important throughout life, but in the intense care giving times, it becomes critical. For all of us, there are the non-negotiable areas of care – diet, exercise and sleep. None of us gets a pass on these areas of caring for self – we will pay a price if we don’t do them. It is simply how our Creator made us. But there are also the elective areas of care. What is the thing that really brings life to us as an individual? It could be art, gardening, reading, massage, intense practice of a physical activity, walking through the woods or a myriad of other pleasurable pursuits. We have to find what it is that de-stresses us and make time to do it. If you’ve ever flown on an airplane, the flight attendant has no doubt said, “in the case of an emergency, put your own oxygen mask on before you place a mask on your child”. We don’t have the capacity to take care of another if we don’t take reasonable care of our self. Philippians says “in humility consider others better than yourselves”. This is impossible to do if we are exhausted, cranky, and living on the edge. From a great deal of experience, I’ve learned that I am much more patient, calm, loving, kind (fill in the blank), when a portion of time has been spent in Sabbath periods and caring for myself. Something I used to view as selfish I now see as critical – not only to myself but also to those in my care. I blew it last night. Even though earlier in the day my husband and I spent some significant peaceful time talking about our hard work to shift from a parenting paradigm of “overpowering” and fear to one of connection, I messed up. I defaulted to the old model and it was not a pretty picture. 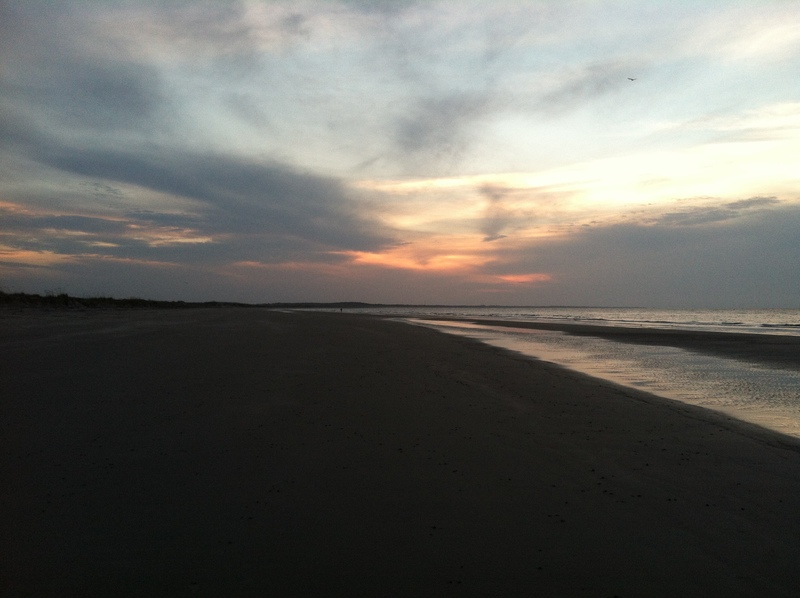 After a very fitful night with not nearly enough rest, I woke up and realized that if I went for a walk along the beach soon, I could see the sunrise. God’s mercies are new every morning and I sure was in need of those mercies on this day. Any sunrise that I’ve ever seen is beautiful. But the ones that are painted on a canvas that include ominous gray clouds scattered here and there are stunning. That was God’s gift to me this morning. There is something breath taking in the bounce of rays and light peeking through a mix of gray and white. As the sun moves higher up, it reflects yellow and orange hues all around. The awe inspiring scene is only unveiled for a few minutes yet those who have witnessed it have received a precious gift. As I beheld this glory my mind and heart were impressed that our lives are akin to such canvases. It was a picture of how God is at work in the life of my child as well as my own life. When the gray clouds are gathering around, God is at work to shine in and through. The painful and dark places are exactly where the wondrous array of light and color can bounce around and create breath taking panoramas. Even though this scene can look like an ugly destructive storm, when the rays shine through, a priceless masterpiece is revealed. I am hoping for more days when my soul is able to see the Artist at work. A while back, I saw a Humane Society bumper sticker that caught my eye – it said “who rescued who?” Bumpers are a place where many philosophies, beliefs and theologies are proclaimed. That one got me thinking – in particular about adoptive parents of children who come from difficult places. Sometimes from fellow adoptive parents, I hear things that make me shudder inside – things like, “we saved them from this terrible place”, “we can save one more”. Pretty much any sentence with the word save and a child is extremely disturbing. We are not asked to be saviors and our children should not be looked upon as charity cases who now owe us a huge debt. Any child who ends up in foster care or living in an orphanage should be honored and admired. The spirit and inner strength necessary to survive are admirable indeed. They know a hardship deep down that most of us will never experience. They are strong. Anyone who has even stepped foot into an orphanage or looked into the face of a foster child quickly knows that a family is where children are meant to grow up and settle. But those who invite these children into their homes and lives must be willing to walk alongside this child through the good and bad, happy and sad, and all the ups and downs of life. If they expect a posture of gratitude from their child all along the way, there will be great disappointment and disillusionment. We have to desire to parent and share all of life together. We can’t set up a savior/grateful recipient kind of relationship. If that is the expectation, then it will surely implode at some point. As parents we must be mindful and thoughtful about the gifts and grace that our children bring to us. Even, or maybe more accurately especially, on the most difficult days, there is a deep down exchange of life and hope. 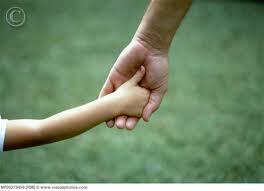 Parenting calls us to reach way up to God, way down inside and to be better human beings. One of my parenting mentors, Bryan Post, says it something like this – when your child triggers something in you, turn to them and say “thank you for forcing me to deal with my own issues”. I am not going to say that is easy or that I am even remotely “there”, but my heart resonates with this truth. So who saved who? In my experience it is a mutual exchange of life giving and receiving. We don’t need to be or see ourselves as saviors – that’s God’s business. We need to walk alongside and embrace the full range of life together with our child. This mystery of resiliency has been on my mind a great deal recently. I’ve been hearing heart wrenching stories of parents raising kids from hard places – being at church, a place where most of us hope to receive compassion and support, and told that their struggling child should be doing better, because look at how well child x,y or z who also has lived through some trauma is doing. This type of comparison is like a kick in the stomach to a parent who loves and lives daily with this beloved child. And the child surely picks up on this comparison stance – this just leads them to feel more unworthy and reinforces a deep belief that they are just not good enough. We can’t do that to children or parents – each individual child is truly a unique soul from God knit together in a one of a kind way. Which of us hasn’t parented or just casually observed two or more children in a family who are different in almost every way – it is the old nature vs. nurture dilemma that is still passionately debated today. I imagine that the answers to such questions are not easily found and highly complicated. There are so many facets and factors – known and unknown – for a child who has experienced some type of trauma. Many of us only have fleeting glimpses of our child’s story before the day we embraced them into our families. Months or years have passed with daily experiences – some life giving and some traumatic. We have no clear picture of what did or did not happen for them in their early years. Each individual is born with a temperament and the way we respond to and approach the world is shaped a great deal by this part of our being. Some children were exposed to toxic substances in utero. Some did and some did not have a caring person in their lives who took a special interest in them as an individual. And the list of variances could continue. It is a highly complex situation and judgment can be so very painful and harmful. The arrogant expression that we somehow know from afar what another should be doing as they face their own struggles must be silenced. We must honor the stories and experiences of each child and family. There is so much that we just don’t know or understand. On this day I am truly grateful for the Emilys of the world who are researching and pouring their lives into better understanding the pain and resilience of children. I can’t wait to hear which pieces of the puzzle she discovers.